Sterling silver jewelry is one of my top choices. Not only is it very affordable and incredibly durable, it's so easy to care for with just a silver polishing cloth. 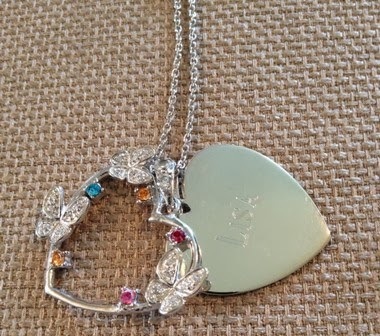 Eve's Addiction has some of the most gorgeous sterling silver personalized jewelry I've ever seen. My photos can't even do justice to the stunning presentation of this beautiful necklace. Their collections include engravable jewelry, Tiffany style jewelry, bridal jewelry, celebrity jewelry, designer style jewelry, Cubic Zirconia jewelry, pearl jewelry, movie jewelry, and Disney jewelry. 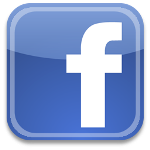 Eve's Addiction specializes in personalized jewelry, including monogrammed, engraved, and birthstone pieces. 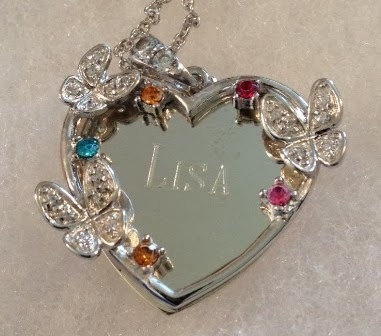 This exquisite 5 Stone Austrian Crystal Butterfly Engravable Birthstone Pendant is sterling silver with a rolo chain (in 16, 18 or 20 inch length), plus it features my name engraved on a solid heart, with a heart-shaped overlay with three butterflies and five birthstones perched along the edge. 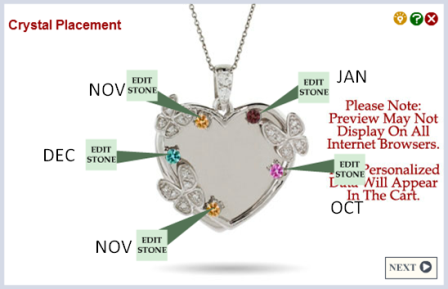 Their website offers shoppers a simple online point and click application to indicate where each birthstone is placed. My husband's birthday is in January and mine is in October, so I wanted those birthstones both placed on the same side, then I placed the kids' birthstones on the other side. Personalization is so easy and my beautiful necklace arrived exactly as I ordered it. Eve's Addiction offers a huge range of jewelry, including rings, earrings, necklaces, pendants, bracelets, anklets, fashion watches and toe rings, plus jewelry for men and children. They offer fast and free shipping, and if you sign up for their emails, you'll get a $5 credit on your first order. Personalized jewelry is the perfect holiday gift! Get dad a sophisticated engraved dog tag, get your child a charming engraved secret message heart envelope locket bracelet, and get grandma a photo pendant. 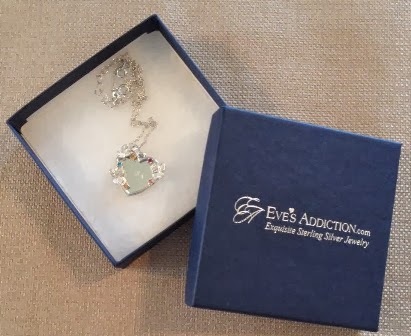 There are so many choices at Eve's Addiction and you can create a one-of-a-kind gift that will be treasured forever. 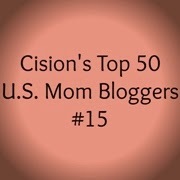 Visit www.evesaddiction.com today and take advantage of their fabulous holiday prices! 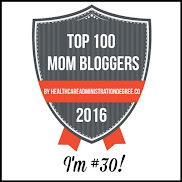 Enter to win a $50 Gift Card to Eve's Addiction HERE! 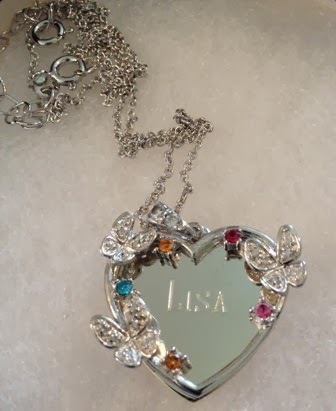 That piece is really beautiful and I love personalized jewelry, but they have so many pieces to choose from I can spend a lot of time just looking to try and decide what I would want most. I love your new necklace! I just visited their site while entering their contest and I fell in love with the Tiffany collection, but all the collections are gorgeous! I kept finding new favorites, and thanks to it being Sterling Silver (my favorite too) it really helps lower the price! How creative. I love how personalized it can be! That's a pretty heart! I think they have a lot of reasonably priced items. Thanks for introducing me to this company. I love that they offer a wide range of prices. It's not a site just for the rich. I love their engraving abilities and how special and unique some of the pieces are. I'm always looking for a new exotic piece to add to my jewelry collection. That's very pretty! I wonder if they'd have room for nine stones for my family. I love how this can be customized! How beautiful! I love to give personalized gifts. It shows that you put some thought into the gift. I love the Mothers rings they also have. They have some beautiful pieces to choose from. I think I know where I'll be shopping for my next pair of earrings! I love that necklace.. very pretty! 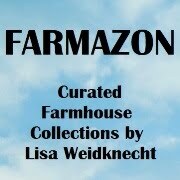 I also love the variety of pretty pieces they have and that you can personalize them! I would love to get the sister necklaces for my sister and I.
I love Eve's Addiction! They have really cool pieces, I really like the royal blue drusy ring. I have never heard about drusy stones before I saw them @ Eve's Addiction and they're really beautiful. That is a beautiful piece and very different from anything I have seen. I love Eve's Addiction's selection of pieces but especially their rings! I share your love for sterling silver jewelry. I am happy to hear that you got exactly what you ordered. It's great that they offer fast and free shipping, too. Thanks for the review and giveaway! their personalized jewelry looks so professionally done! The necklace is so beautiful and well made. I like how big the stones are too! !